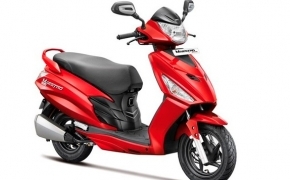 Hero MotoCorp has updated the ongoing Maestro Edge and launched the 125cc version of the scooter at the Auto Expo 2018. 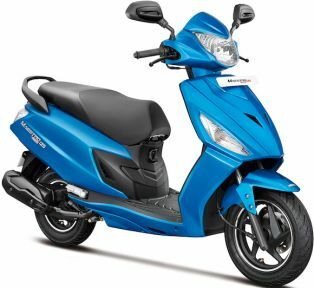 With the launch of Maestro Edge 125 Hero has entered into the 125cc scooter segment in India. 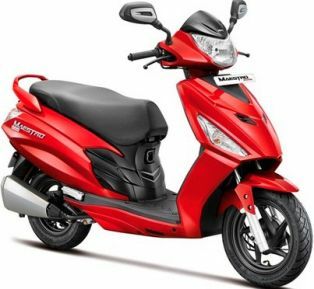 Hero has designed the new Maestro Edge 125 keeping in mind the young generation of our country. Hero claims that the new Maestro Edge 125 comes equipped with indigenously developed 125cc air cooled CVT engine is capable of delivering best in class performance. 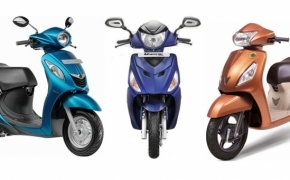 The scooter comes featured with style and technology along with loads of features to fulfill convenience and safety. The brand new 125cc air cooled 4- stroke CVTi engine of Maestro Edge 125 comes equipped with ‘Energy Boost’ technology capable of producing 8.7 hp of power output at 6750 Rpm and max torque output of 10.2 Nm at 5000 rpm. 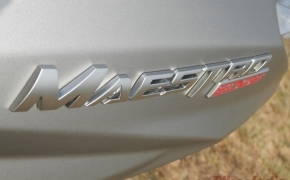 The new Hero Maestro Edge 125 also brings Hero’s own i3S (Idle-stop-start system), which also is segment first feature meant for better fuel efficiency. 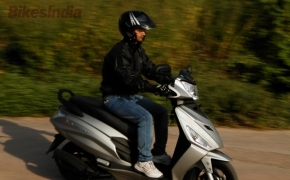 The scooter offers Integrated Braking System (IBS) same is Honda’s ‘Combi Braking System’ (CBS) which actuates both front and rear brakes while applying one of the brakes. 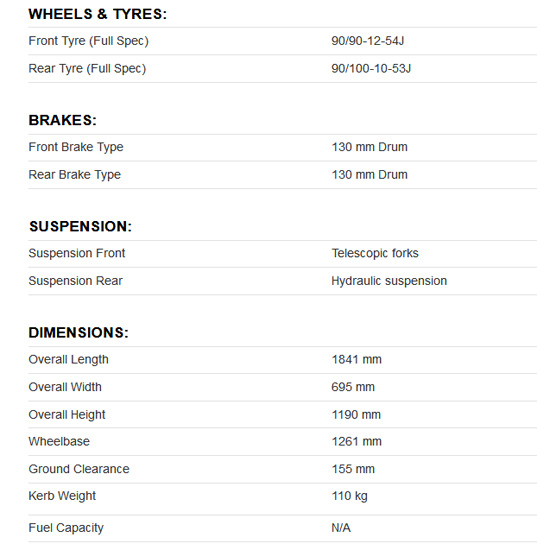 The Maestro Edge 125 also has feature of front disc brake as option, whereas the drum brake does the duty at the rear. 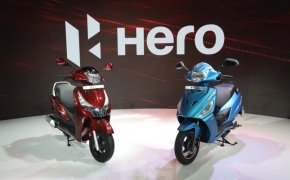 Hero has introduced Diamond-cut cast wheels upfront at the new Maestro Edge which look stunning on the scooter and they also go with the matte finish of the scooter. The new Maestro Edge 125 now comes with sharp front cover and apron along with redesigned sleek rear cowl. The tail of the scooter has signature LED tail lamp and frost-winkers. 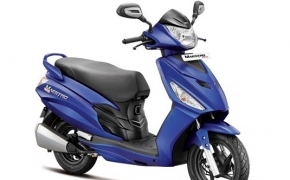 Features like external fuel filling come handy with the new Maestro Edge 125. There are other features like remote key opening, mobile charging socket and boot light also given to the new Maestro. 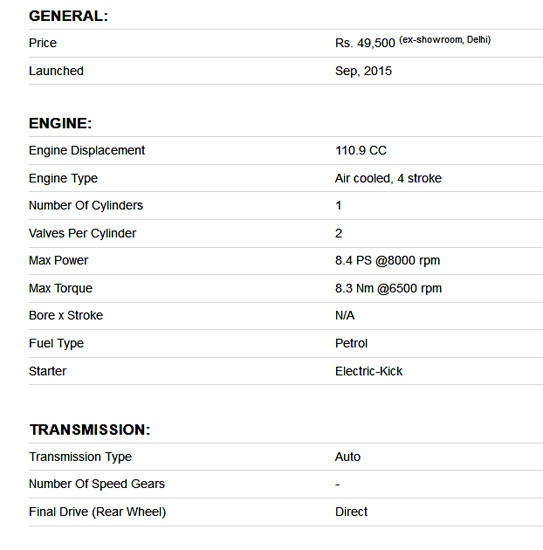 The Maestro Edge 110 is featured with 110.9cc engine developed by Hero MotoCorp R&D team. 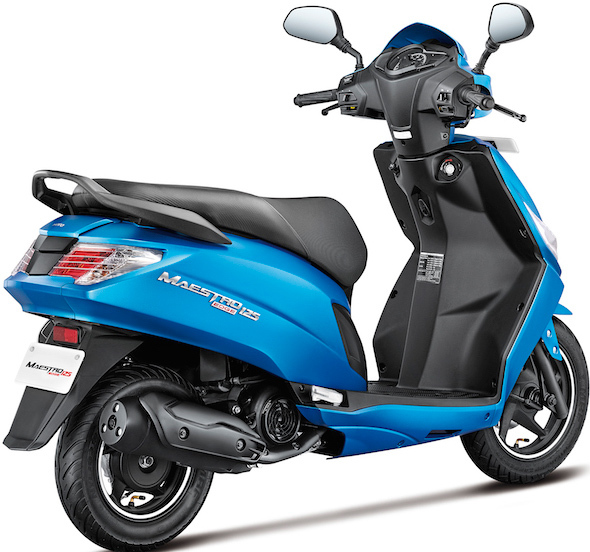 The auto gear scooter is loaded with lots of features like front Telescopic shock absorber, five spoke alloy wheel, Remote fuel lid and seat opener. It was first launched in the moth of September 2015. 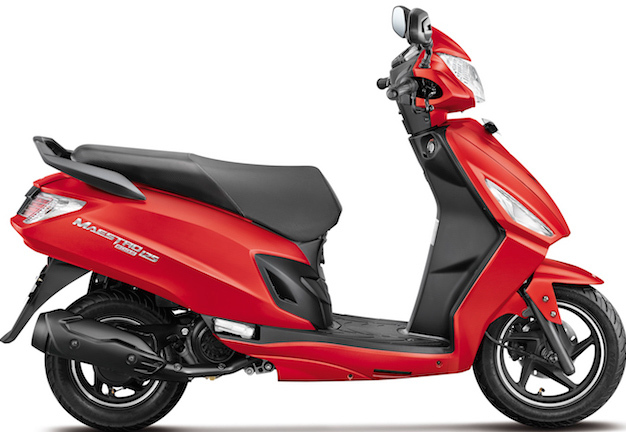 Hero MotoCorp has added the “Edge” to the already existing male centric scooter Maestro; the new Maestro Edge has received not only the complete makeover but also numerous features to compete with the likes of TVS Jupiter, Mahindra Gusto, Yamaha Fascino and Honda Activa 3G.